Having successfully taken over the town hall last Saturday, Prince Marcel I. moved into the Mayor’s office on Thursday where he intends to run things until Ash Wednesday. 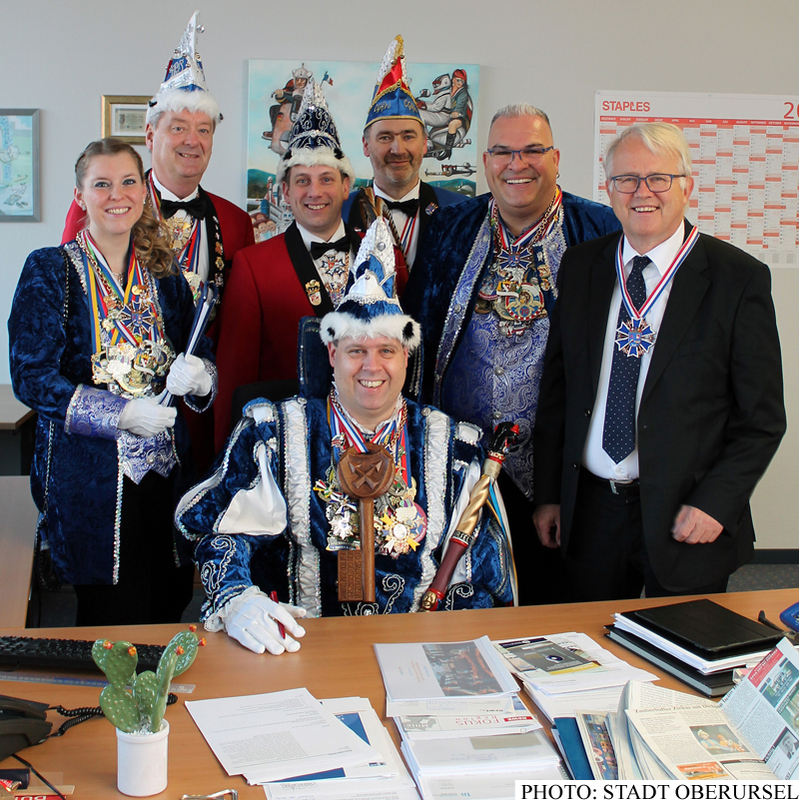 The photo shows him settling into the Mayor’s office with his pages Pia (left) and Natalie (right), Lord Stewart and Mayor Hans-Georg Brum, accompanied by the town’s treasurer Thorsten Schorr (left) and Alderman Christof Fink (right). 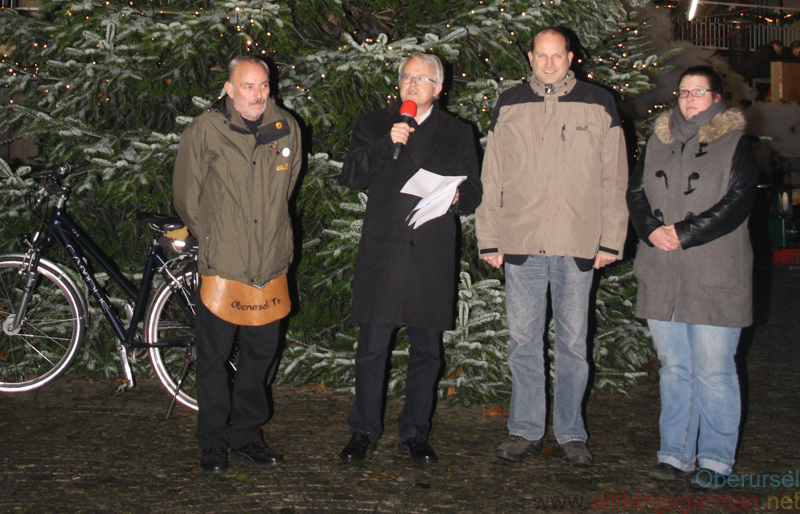 Carol singers in German do not go from house to house before Christmas eve, they do it afterwards instead – specifically between 27th December and 6th January. During this time, the so-called “Sternsinger”, organised by the local church and who are sometimes translated as “star boys”, go from house to house to collect for a particular good cause using the year’s motto and dressed as the Three Kings. The money raised this year will mainly be going towards projects to help children in Peru. With the whole country taking part, it is not unusual to raise over €40 million. 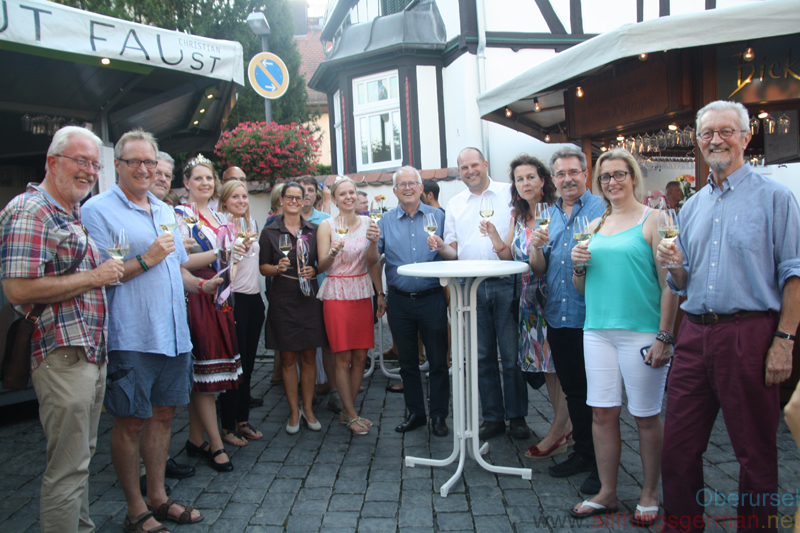 The wine festival was opened this evening by Mayor Hans-Georg Brum, Fountain Queen Anna-Lena I and Rheingau Wine Princess Janine Helbig. They were accompanied by dignitaries from Oberursel and Rushmoor. 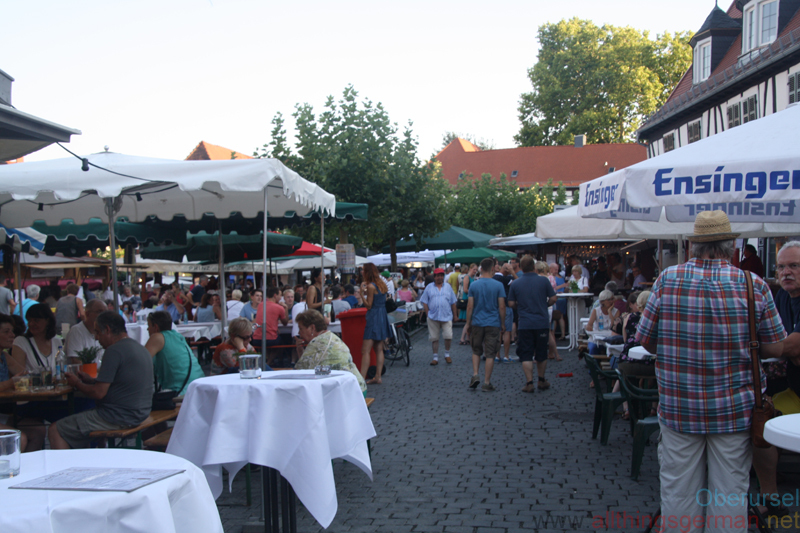 The 21st “Autos in the Allee” takes place this weekend in Oberursel. 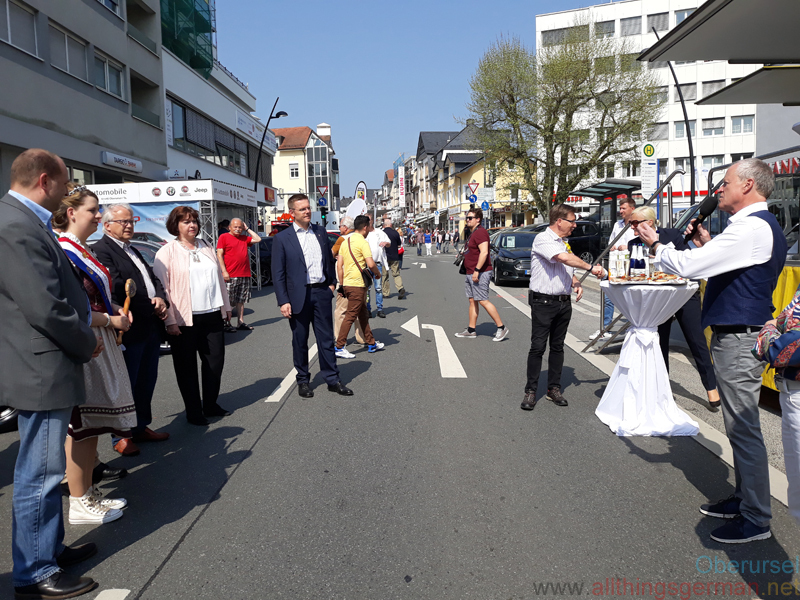 The exhibition, which features 215 new cars from 15 local dealers was officially opened this morning (Saturday, 21st April, 2018) in the Adenauer Allee by Mayor Hans-Georg Brum, the newly crowned Fountain Queen Anna-Lena I., and the chairman of the local business association (Fokus O) Michael Reuter. Sunday is “verkaufsoffen”, which shops in the town centre allowed to open. 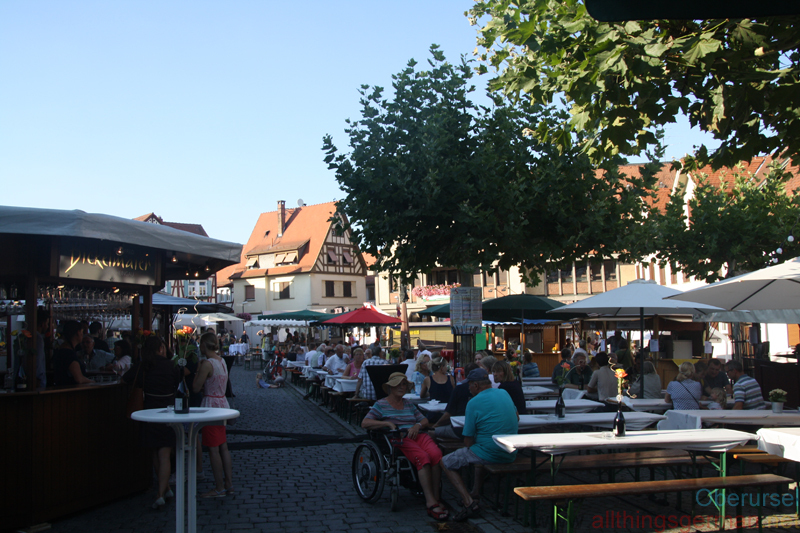 The 2nd Oberursel beer festival is also taking place this weekend on the Rathausplatz. 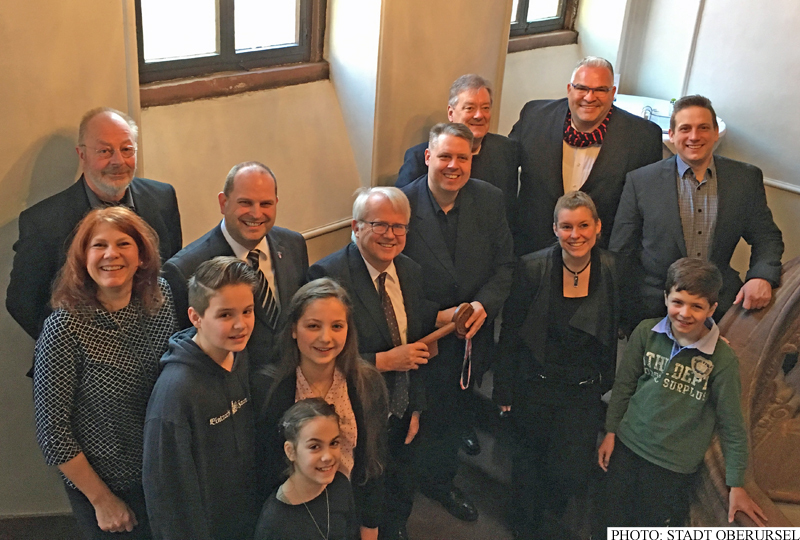 As is the tradition on Ash Wednesday, Prince Karsten I. returned the key to the town hall to Mayor Hans-Georg Brum, having won it off him at the Rathaussturm 11 days earlier. Having successfully taken over the town hall last Saturday, Prince Karsten I. moved into the Mayor’s office on Thursday where he intends to run things until Ash Wednesday. 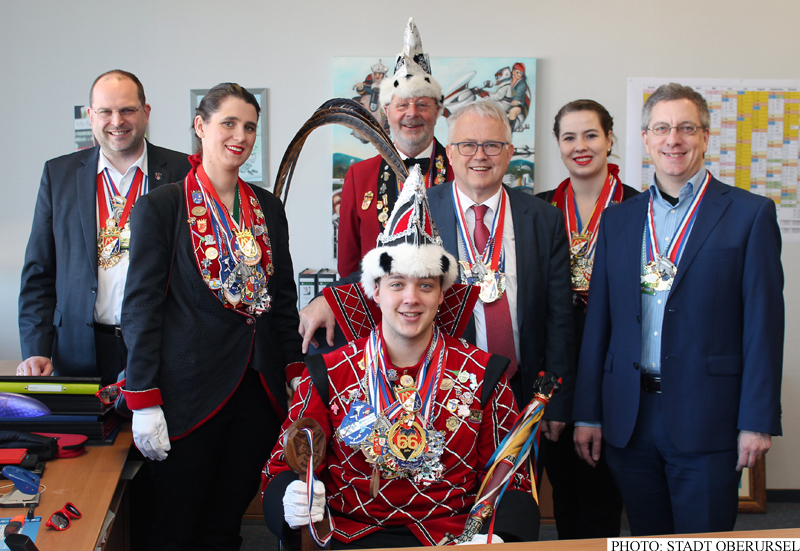 The photo shows him settling into the Mayor’s office with his page, Lord Stewart and Mayor Hans-Georg Brum. 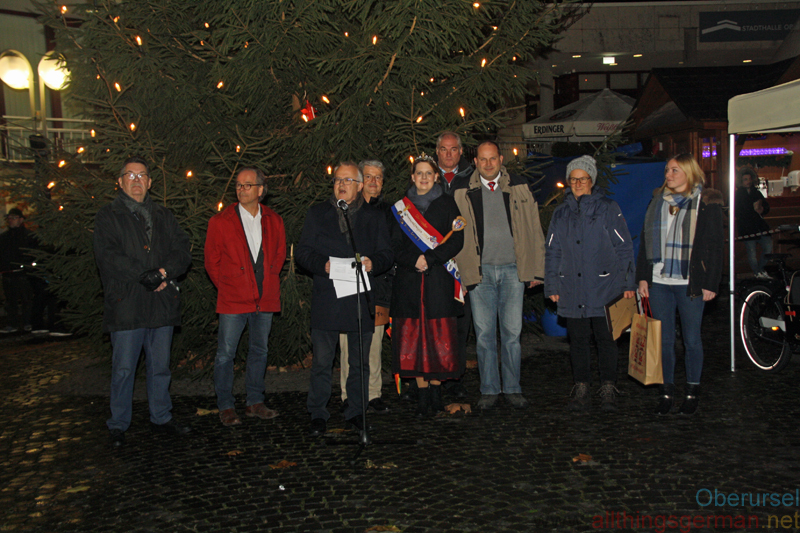 The Christmas Market in Oberursel was opened on Thursday, 30th November, 2017 by Brunnenmeister Rainer Böhrig, Mayor Hans-Georg Brum, Town Treasurer Thorsten Schorr and organiser Sandy Mohr. There have been some high-level changes recently at Oberursel’s twin towns.